Operation Dove's Wings will bring remaining Ethiopians to Israel by March 2014, first flight to bring 240 to Israel. A charter flight of some 240 Ethiopian Jews is set to arrive in Israel Monday afternoon, the beginning of the final stages of aliya from Ethiopia. 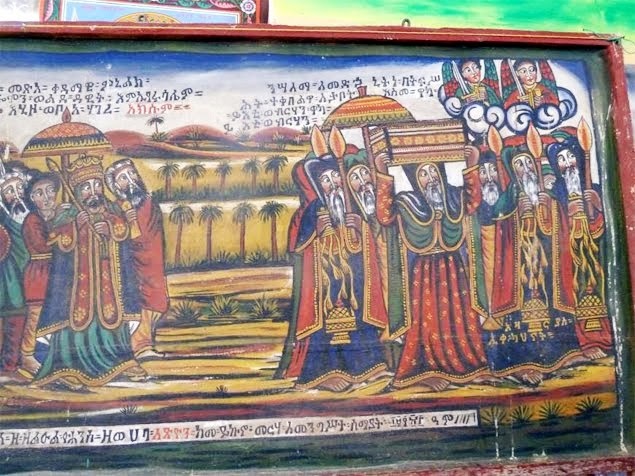 Monday's scheduled flight marks the beginning of Operation Dove's Wings, an Israeli government initiative to bring the remainder of the Falash Mura -- Ethiopians whose ancestors converted from Judaism to Christianity -- to Israel by March 2014. The Ethiopians are waiting in a refugee camp in the Gondar province before coming to Israel. Some have been waiting for 10 years. The flight is the first of a series of scheduled monthly flights. Last July, the Israeli government decided to increase the rate of aliya from Ethiopia in order to complete the process as quickly as possible. The Jewish Agency’s Ibim Absorption Center, a student village in southern Israel located near Sderot, will accommodate up to 600 of the new immigrants. The center was opened with $3.1 million in assistance from the Jewish Agency and $1.4 million from the Ministry of Immigrant Absorption. Prime Minister Binyamin Netanyahu was scheduled to participate in a ceremony to welcome the new Ethiopian immigrants on Monday afternoon, but cancelled his appearance. Vice Premier Silvan Shalom will attend the ceremony in his place. Government officials, as well as philanthropy officials from Israel and the United States, will also be present in the ceremony.